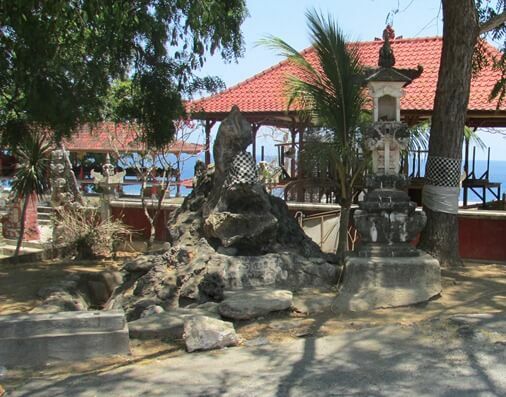 This temple is located close to Pura Batu Medawu, on the edge of Semaya Beach. In the area of Pura Batu Mas Kuning there are "gepuh tree" that grow big and tall and also several other big trees. There is also waterway or "Loloan" the path of the flood during the rainy season. Visitors can enjoy the beauty of the white sand beaches, deep blue sea, seaweed farming and panoramic hills that swathed in shades of spiritual. This place is highly respected by Hindus and recommended for lovers of spiritual tourism. 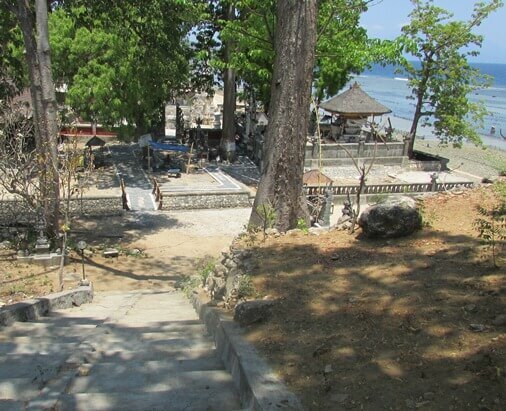 The presence of one of the shrines in Batu Mas Kuning Temple is related to the stranding’s incidence of "Ulam Agung". This shrine is called "Pura Payogan Bhatara Baruna Manunggal Ring Sang Hyang Tiga Sakti". There is a unique tradition held here. This tradition is called "Nimpung" or "Nimpug" which means "throw". This tradition is usually used such as agricultural products and also in the form of basic necessities. Nimpung tradition has become a unique attraction to visitors. This tradition is an expression of gratitude over the abundance of grace from the Creator. In addition, also to preserve the culture of noble (inherited hereditary) for balance and harmony of Bhuana Alit and Bhuana Agung (Micro and Macro Cosmos). 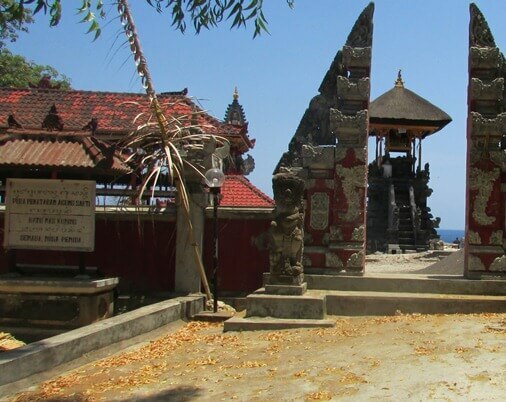 Overall, this temple consists of four (4) main temple include Pura Song Babuan (Bale Agung), Pura Song Beten (Pura Segara), Pura Payogan Bhatara Baruna Manunggal Ring Sang Hyang Tiga Sakti and Pura Taman. The temple anniversary or pujawali is fell on Wednesday / Buda Wage Merakih (every 6 month).